It's been pushed back until May. 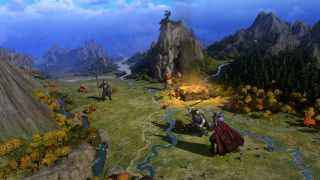 Total War: Three Kingdoms has had its release date pushed back and will no longer be out on March 7. Instead, we can expect to see the game released on May 23. The news came this afternoon via a developer update. It's shaping up to be a bit more complex than previous Total Wars, so it's being pushed back to give the developers "more time to make sure these systems deliver as intended." Creative Assembly is well aware that fans are going to be disappointed at the delay and go on to say that this is the "best thing for the game and our players." They've provided a link to a FAQ on their official site which really doesn't give much more information but does assure players that their pre-orders will be unaffected, other than obviously releasing over two months later than originally planned. The initial release date was revealed back in September, and since then we've had a number of trailers detailing various heroes and factions such as Cao Cao and, most recently, the tyrannical Dong Zhuo. A number of features and mechanics have also been detailed, including an overhauled diplomacy system and spycraft. Total War: Three Kingdoms is now set for release on May 23.